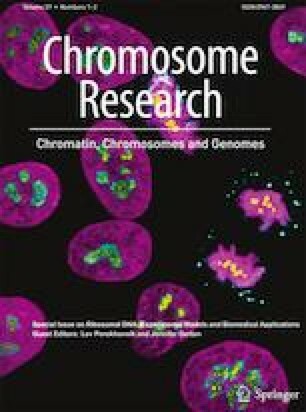 Nucleoli in embryos: a central structural platform for embryonic chromatin remodeling? Nucleoli are the site of ribosomal RNA production and subunit assembly. In contrast to active nucleoli in somatic cells, where three basic sub-compartments can be observed, mammalian oocytes and early embryos contain atypical nucleoli termed “nucleolus-like bodies” or “nucleolus precursor bodies”, respectively. Unlike their somatic counterparts, these structures are composed of dense homogenous fibrillar material and exhibit no polymerase activity. Irrespective of these unusual properties, they have been shown to be absolutely essential for embryonic development, as their microsurgical removal results in developmental arrest. Historically, nucleolus-like and nucleolus precursor bodies have been perceived as passive storage sites of nucleolar material, which is gradually utilized by embryos to construct fully functional nucleoli once they have activated their genome and have started to produce ribosomes. For decades, researchers have been trying to elucidate the composition of these organelles and provide the evidence for their repository role. However, only recently has it become clear that the function of these atypical nucleoli is altogether different, and rather than being involved in ribosome biogenesis, they participate in parental chromatin remodeling, and strikingly, the artificial introduction of a single NPB component is sufficient to rescue the developmental arrest elicited by the NPB removal. In this review, we will describe and summarize the experiments that led to the change in our understanding of these unique structures. HF and AL conceived and jointly wrote the manuscript. Our research is supported by the Czech Science Foundation grant GACR 17-08605S.